Pre-heat the broiler of the oven. Place the red pepper on a cookie sheet and place on the top shelf of the oven. Turn over every 3-4 minutes, letting the skin char on each side. Total cooking time should be 10-12 minutes. Remove once the pepper is charred on each side and let it cool. 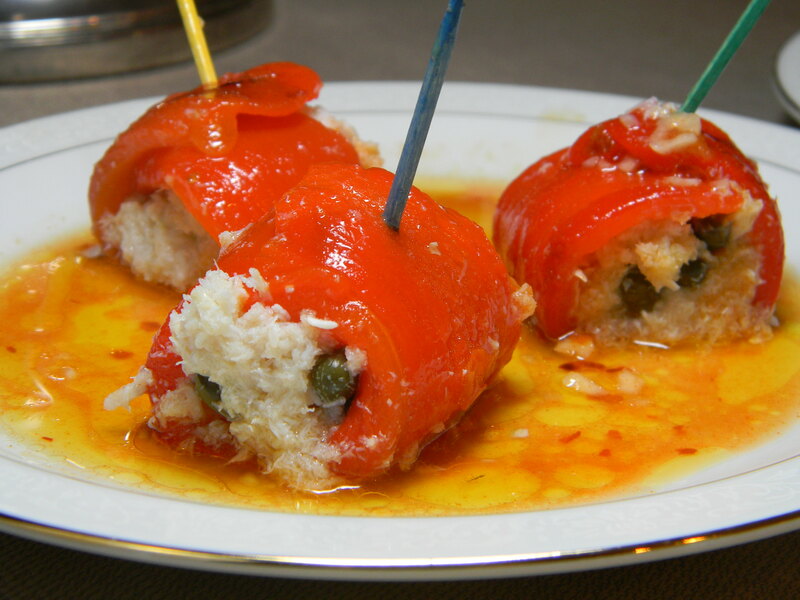 While the pepper is cooling, combine the crab meat and capers in a small bowl. In a larger bowl, stir together the red wine vinegar, paprika, and salt. Slowly whisk in the olive oil, emulsifying the mixture. Once the pepper is cool enough to handle, peel the skin away from the flesh of the pepper. Cut the pepper in half and de-seed it. Cut each half into 3 evenly sized strips. Dip each of the strips into the vinaigrette and lay on a cutting board. Take 1 tablespoon of crab and place in the center of each red pepper strip. Roll the pepper up around the crab and secure with a toothpick. Place 3 crab stuffed pepper pieces on each of 2 salad plates and spoon a generous amount of vinaigrette over the peppers and on the plate. ENJOY! Serves 2 as a small appetizer.